You may pride yourself on your own personal Potterphilia, and you may be an aspiring athlete in a physically challenging, fast-paced field sport like soccer (sorry, football), field hockey, or rugby. But what about where those worlds merge? Enter Quidditch. Initially popularized on university campuses in the United Kingdom and United States in the mid-2000s, it has grown dramatically in structure, engagement, and recognition over the past decade. That being said, however, mention the actual sport to any number of workplace or community muggles, and you may get a blank stare. If this isn't the perfect grounds for an IDO intervention, we don't know what is. 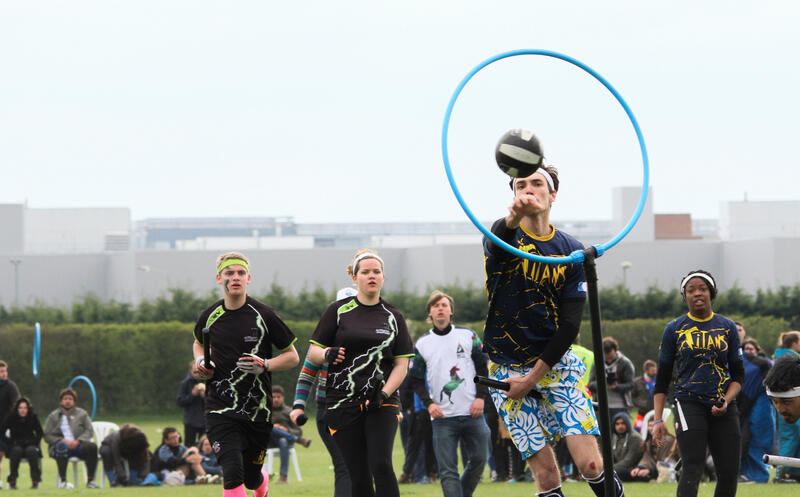 We were fortunate enough to be recently joined on a Skype call with someone who not only has a great insight on the structure and logistics of Quidditch games, leagues, and seasons, but has a vested interest in seeing the sport's popularity continue to grow: Jack Lennard is the founder and director of the Quidditch Premier League, and was kind enough to talk with us about the sport, the league, and the players' passion!